The girl in the middle copping the tongue attitude is Katie (USA). The guy on the left is Conlin (England) and the guy on the right is Tyler (Canada). Conlin and Tyler were tired. 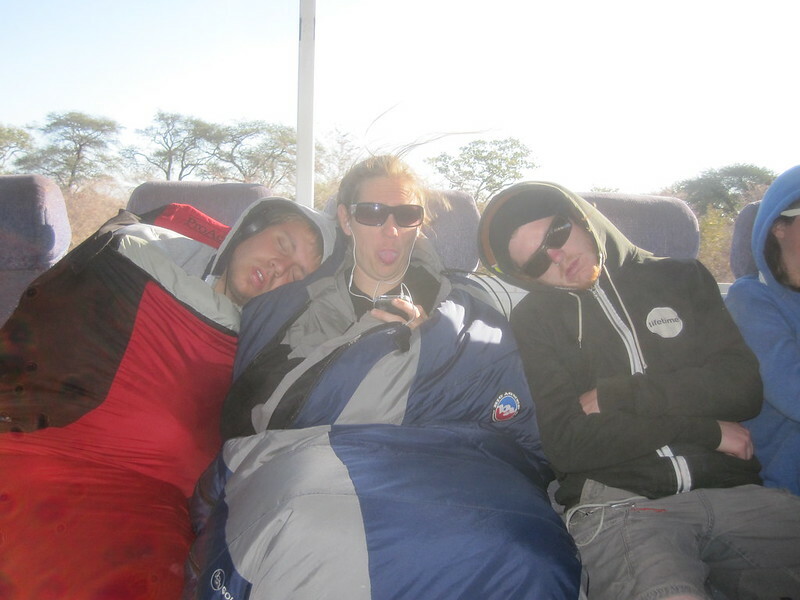 They’d probably had a big night and Katie was available to help them catch a few zzzz’s. I saw these great pictures of people asleep all the time. People would just sort of fall asleep on other people. Life on a truck can be a little rough sometimes. I’m just not sure why I got the tongue. I just took the picture. This entry was posted in Travel and tagged Africa, Botswana, Overland Trip on July 21, 2012 by Steve. 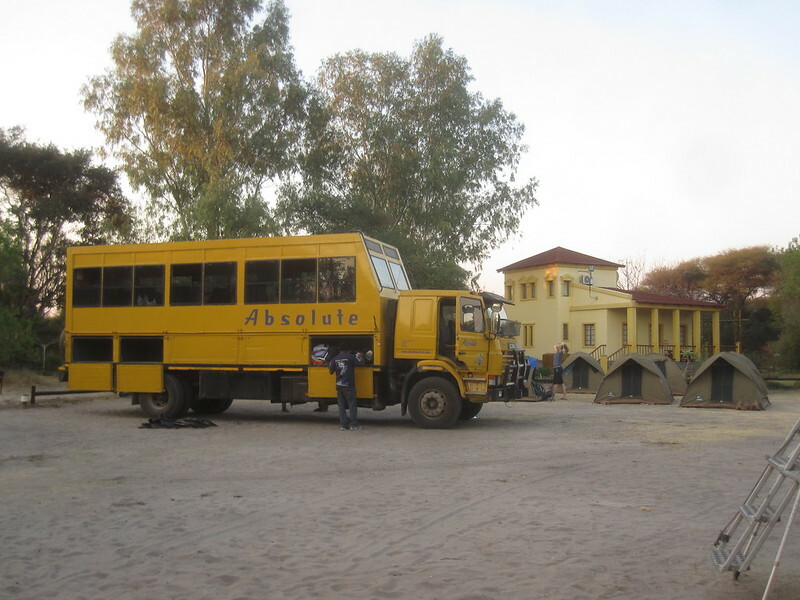 It’s another big yellow truck that roams around Africa. This company is a competitor to the company I am with. Essentially, both trucks do the same thing. They take people around Africa to see the sights. Both have about the same size trucks. Both stay at the same type of campgrounds. The routes may be different and the costs will probably be different based on the routes and whether the activities done on the route are optional or not. 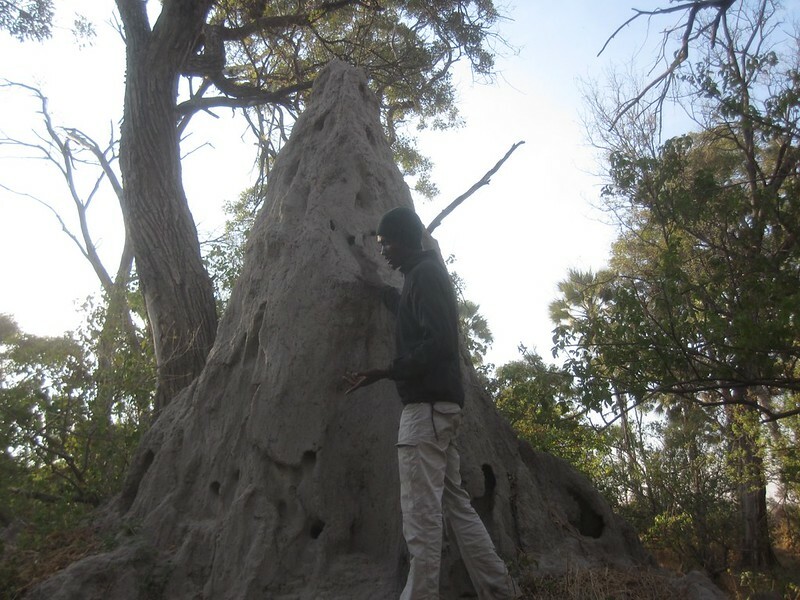 This is one of the guides explaining about the termite mound that you see in the picture. My personal opinion is that this is a serious termite infestation. In actuality, this termite colony is gone. It moved down the road. These termite mounds can be found all over southern Africa. The are more prevalent in some areas than in others. They can be seen as we drive through the region. I saw dozens of them in the small area of the Delta that we visited. This entry was posted in Travel and tagged Africa, Botswana, Okavango Delta, Overland Trip on July 14, 2012 by Steve. 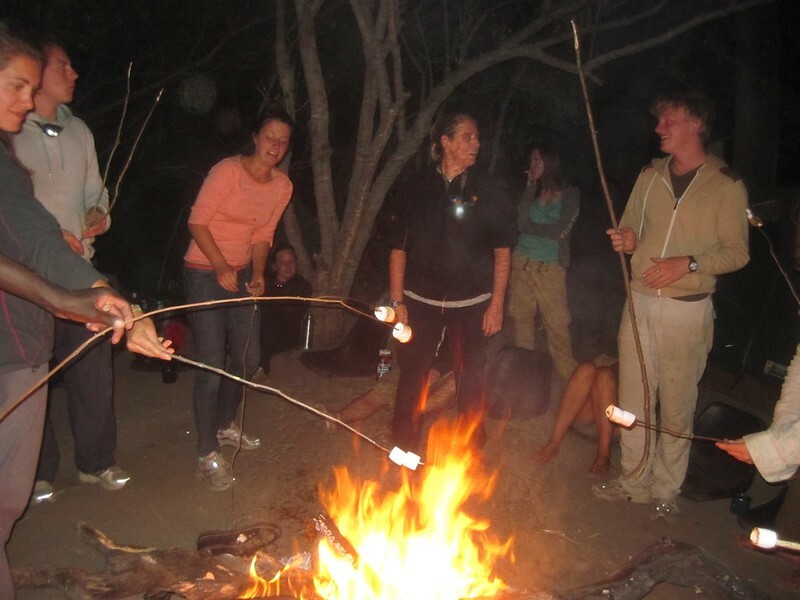 It’s a marshmallow roast. They were yummy. The guides loved them. 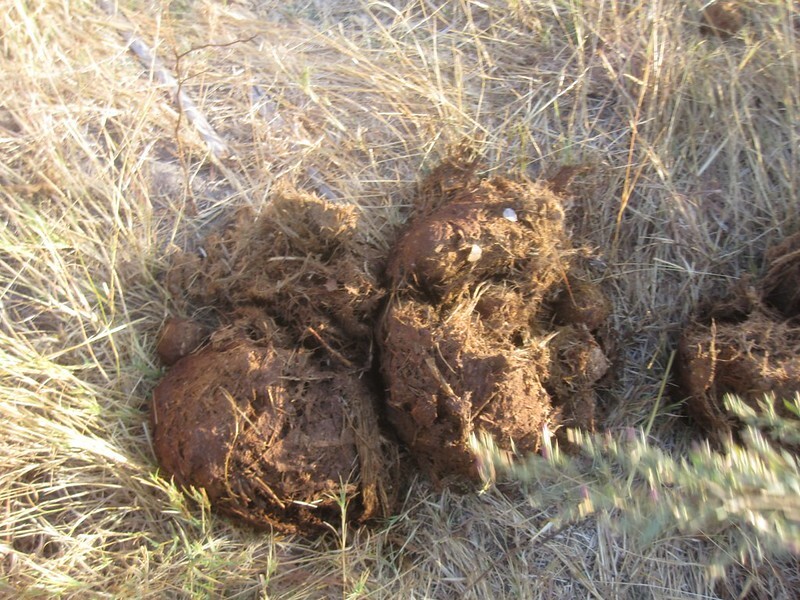 One of the things we did on our hike was to learn about different types of poo. According to our guide, you should be able to figure out what animal left the poo and what gender the animal was. I did ‘t really do well on the poo lessons. It just wasn’t something I grasped really quickly. That’s probably because I wasn’t the naturalist that some of the other group members were. They grabbed the poo stuff really quickly. I figured that once I left Africa, I would never really get to use it a lot. For example, would I really need to know if the poo that I might find around my home was left by a male or female elephant? No, of course not. Nor would I care if it was left by a giraffe. Some poo is better off left alone. It’s another hike. While we were in the Delta we took two hikes. The first one was a couple of hours long. The second one was for over three hours. This is a break we took on the second hike. Notice the elephant bones. We saw a variety of animal remains on our hikes in the Delta. Notice also the savannah behind Behind Will, Hannah, and Amy (all from England). The Okavango Delta is made of islands, some of them quite large, and a lot of water. We were on one of the islands. The guides made me a gift the second afternoon while I was sitting around camp. It was a baboon head with horns tied to it. I’m not sure why they gave me the gift. I wondered about the symbolism behind it. Was it a curse? Was it tribute? Was it simply a gag? Was it something they did while they were really bored? I was the only one who got a gift like this. I tied it to the top of my tent so that it could ward away evil spirits at night. I would have loved to take it home, but I really didn’t have any room in my bag for it and I have a policy of not dragging stuff home with me, except small trinkets for Ethel and the rest of the family. In the end I left it in a bush where my tent was located. 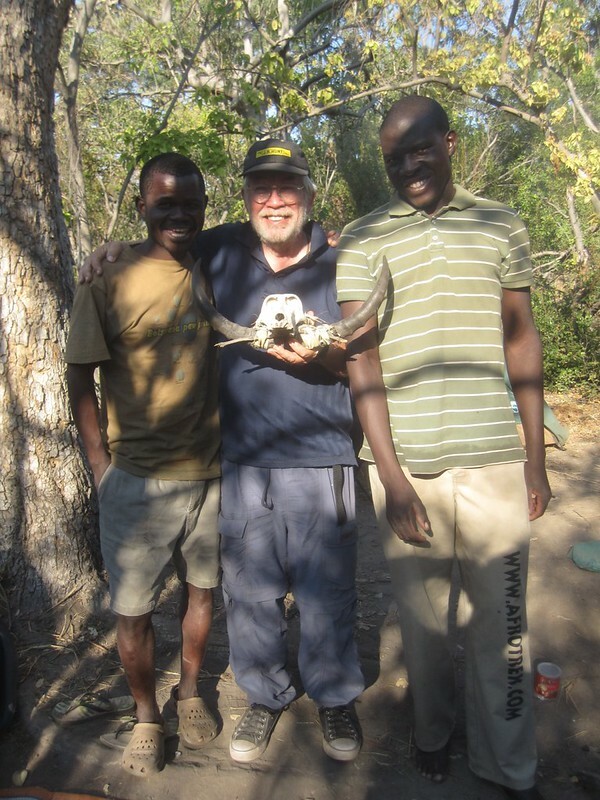 So, if you are in the Okavango Delta and see a baboon head with horns, think about me. This entry was posted in Travel and tagged Africa, Botswana, Ethel, Okavango Delta, Overland Trip on July 14, 2012 by Steve. We had entertainment the two nights we were in the Delta. 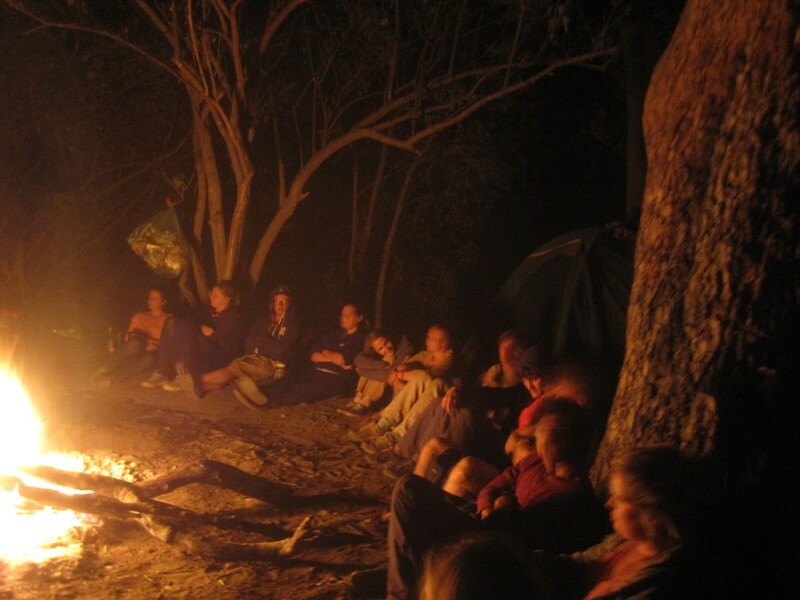 We all sat around the campfire after supper to take in the productions provided by the polers. The first night it was riddles and jokes. The second night it was was the singing of local songs. The jokes and riddles needed a little work, but we all liked them and appreciated the effort. The second night was excellent. These guys, and the tourists, had a lot of fun. All good things must come to an end. 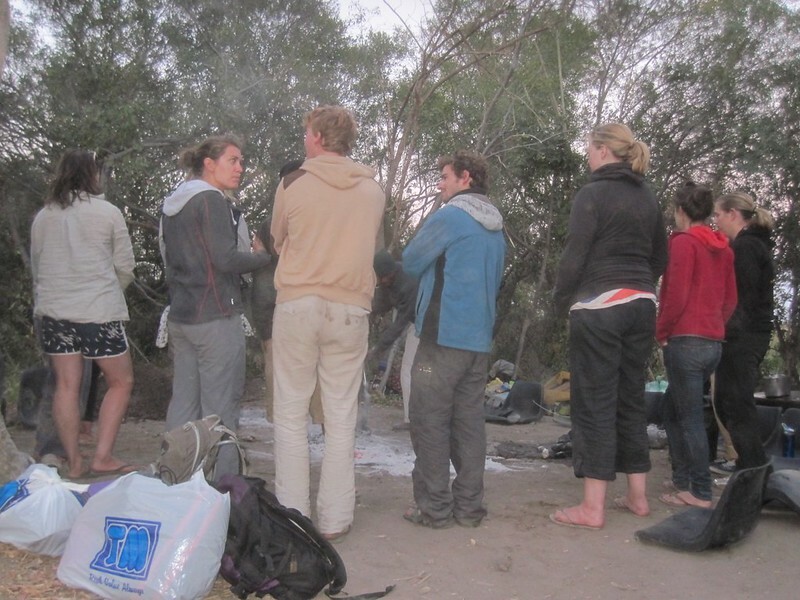 This is a picture of the group getting ready to go back to civilization. My first two things to do when I got back was laundry and take a shower. Lucky me. 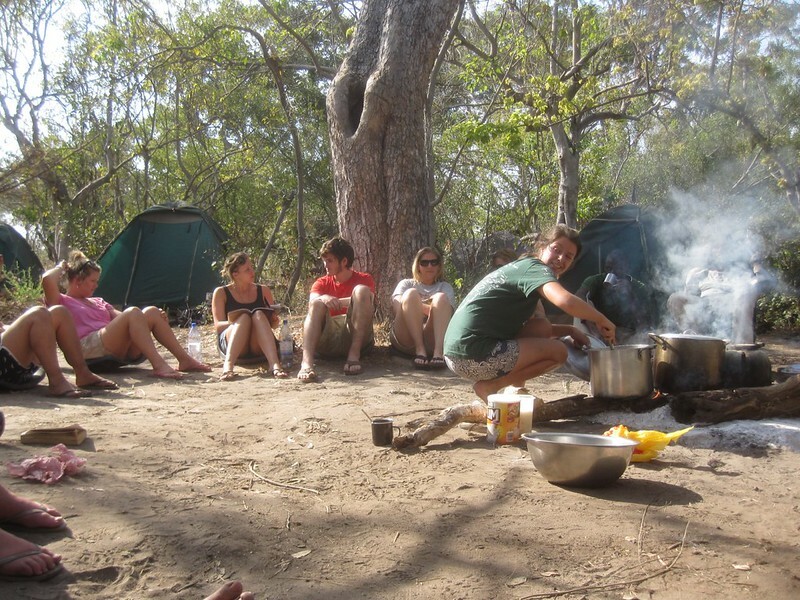 This is a group of overlanders having dinner. When we went to the Delta we had to bring all of our gear with us. 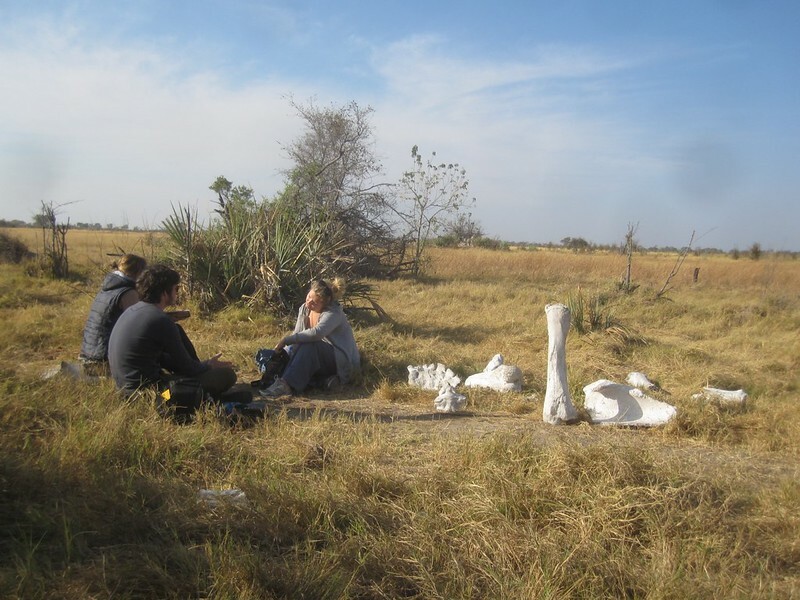 There are no restaurants, convenience stores, supermarkets or other trappings of civilization in the Okavango Delta. There’s just nature. And, of course, the tourists and all the gear they bring. Fortunately, they can’t bring a lot. This means that our lives were rather simple while we were there. So simple in fact that I heard one camper say that &quot;There was nothing to do there.&quot; after the trip ended. He was right. There wasn’t a lot to do there in terms of the normal lifestyle of someone who is actively involved in a first-world lifestyle. Personally, I would have like to have gone wandering around a bit more, but we were cautioned not to leave camp without a guide with us because we could get into an argument with a hyena, an argument we were sure to loose. This entry was posted in Travel and tagged Africa, Botswana, Fortuna, Okavango Delta, Overland Trip on July 14, 2012 by Steve.